Attending our S.O’s work party night out involves heading to a conference centre ballroom in a dress which we’ve long-had designs on throwing out, doing our own (decidely chipped) manicure in the car there and the putting on a slick of lipstick in a bid to look ‘glamorous’ – or something. But for the A-list, a work night out is slightly different. Hollywood’s biggest couples came out in force for the Oscars this year, with everyone from Olivia Munn to Isla Fisher making full use of their plus 1 invitations and dragging out their other halves. While your partner may scoff at the idea of wearing matching outfits on any other day but Halloween (and even then it’s a struggle), Eddie Redmayne and his pregnant wife, Hannah Bagshawe effortlessly coordinated in Alexander McQueen. Hannah looked simply stunning in a halterneck embellished black gown with a matching clutch bag, while Eddie went for the traditional tux and bow tie situ. The couple – who give us serious #RelationshipGoal pretty much any time we see them together – strode down the red carpet arm-in-arm and looked just as loved up as ever. Will there be a trio of Redmayne’s coming down the carpet next year? We hope so. 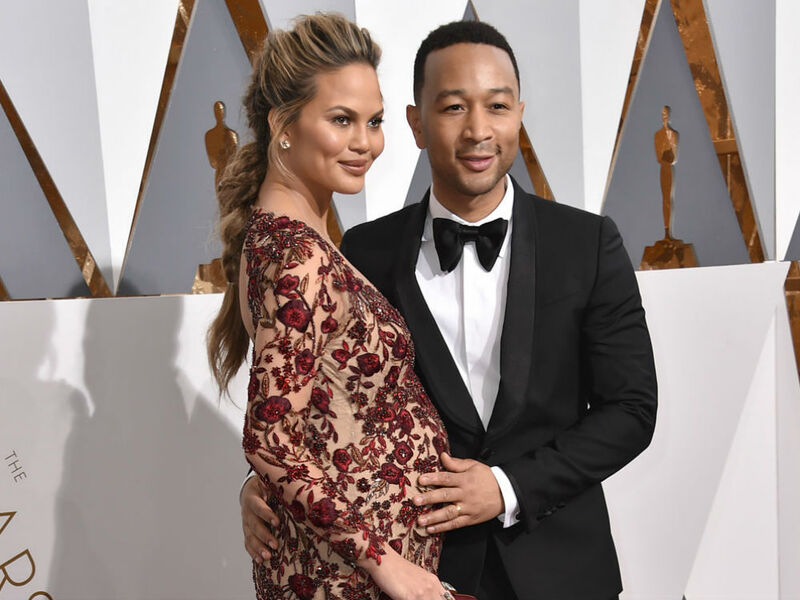 Chrissy Teigan and John Legend – who are pregnant with her first child – wore a stunning Marchesa fishtail gown for the occasion while John, who was tuxedo clad, kept a close eye and tender hand on his wife’s burgeoning baby bump. If you’re in love with Chrissy’s look, then you can check out all of the best pictures from the Oscars 2016 to pick your favourite. 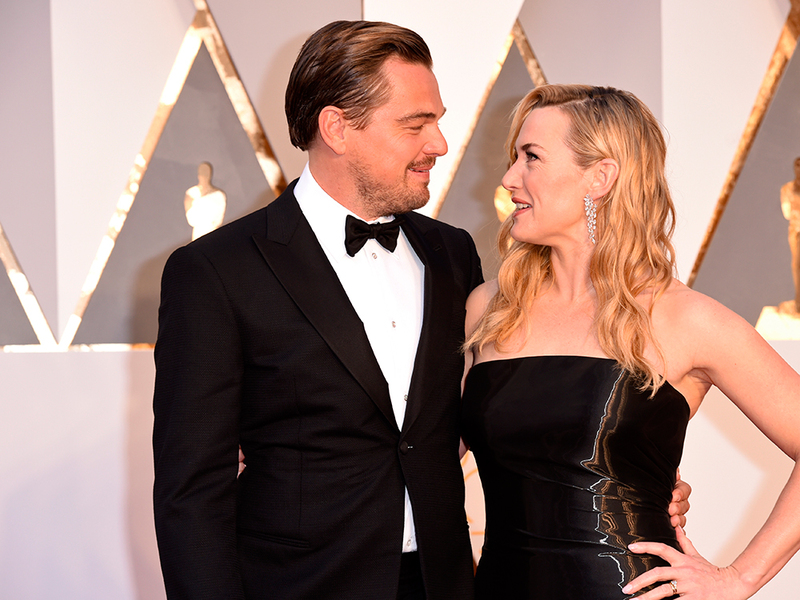 While they’re technically not a couple, we all bloody wish they were and so that’s why Leo DiCaprio and Kate Winslet made the cut for this year’s Oscar couples round-up. The twosome – who have publicly supported each other at every given opportunity during this year’s awards season – made time for a photo opportunity with each other on the carpet and we couldn’t help but squeal with excitement when we saw the moment. Rose and Jack, will you two just get it together already? Oscars ceremony performer, Lady Gaga made her way down the red carpet with fiancé, Taylor Kinney at her side. The singer-come-Golden-Globe-winning-actress performed a moving rendition of her Oscar nominated song, ‘Til It Happens To You’ which was featured in the documentary The Hunting Ground. While she may have lost out to Sam Smith in the running for the gong, Gaga and Taylor definitely won out in the romance stakes. Interestingly, Gaga wore a Brandon Maxwell white skirted jumpsuit which looked like what we imagine her to wear her on wedding day. Classic, chic but with an unexpected edge. For more ADORABLE couples on the Oscars 2016 red carpet, flick through the gallery above.